A retired regional journalist has written a book about the most notorious crimes in the county he served. 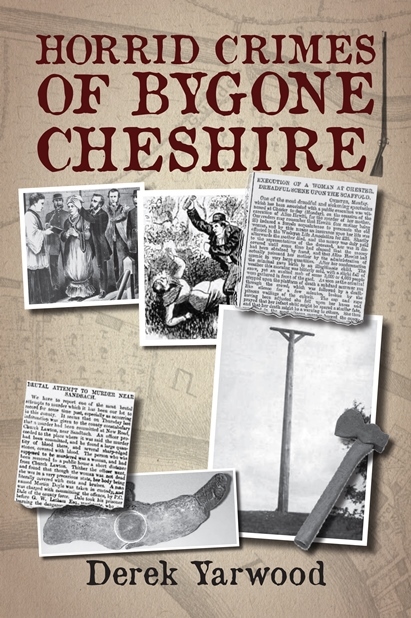 Derek Yarwood’s Horrid Crimes of Bygone Cheshire is a collection of archive tales from the 18th and 19th centuries, based extensively on original source material. He used long-forgotten assize court files, judges’ notes and inquest depositions, as well as contemporary newspaper reports, to compile the book, which was released at the weekend. Derek, 73, worked on a number of newspapers including the Liverpool Daily Post and Echo, the Chester Chronicle and various editions of the Warrington Guardian series. He told Stoke daily The Sentinel: “I’ve been interested in criminology for as long as I can remember. I’m also fascinated in the social history; how people lived, what jobs they did and what their lives were like. The book is mainly about murder but also features attempted murder, house-breaking and highway robbery. Derek added: “Less serious offences, maybe, but each one involving events for which the description ‘horrid’ was equally justified. Derek was a superb feature writer and no doubt his book is a cracking good read.